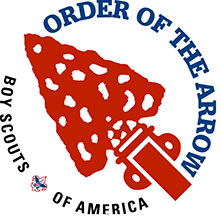 The section conclave is an annual activity involving the five OA Lodges in the section's geographical area. These lodges are Toontuk and Nanuk Lodges of Alaska and Sikhs Mox Lamonti, T'kope Kwis Kwis and Nisqually Lodges of Washington State. Each conclave is led by section youth officers elected from among the member lodges at the previous year's conclave, and the event itself is prepared in cooperation with various other lodge officers, and with one lodge serving as the "Service Council". Conclave 2016 will be hosted by Nanuk Lodge #355 at Camp Gorsuch in Chugiak, AK. The theme for Conclave 2016 is "The Circle is Now Complete".